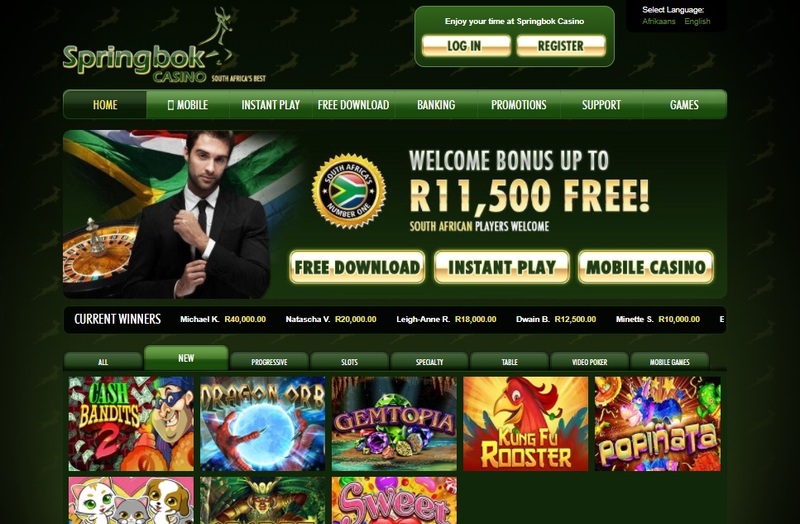 Springbok Casino positions itself as number 1 online casino in South Africa. Let’s see from SpringBok Casino review below if it is truly so. 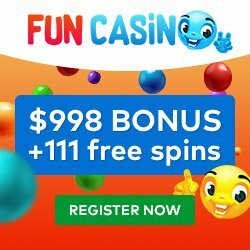 The website of the casino looks professional and attractive. The color scheme mainly consists of dark green and gold colors. The main menu has following sections: Home, Mobile, Instant Play, Free Download, Banking, Promotions, Support, Games. Then you have games menu where the games are divided by appropriate genre. SpringBok Casino uses Real Time gaming software. You can play instantly or download the casino to your computer. Mobile version is also present. Website supports two languages – English and African. To register in the casino you have to fill in a simple form and it will not take a lot of your time and effort. As we mentioned above, SpringBok Casino games are powered by RTG software. You can choose from more than 300 casino games and more than 150 mobile games. There are slots, video slots, table games, card games, special games and progressive games. The list is quite impressive! There is a section called New Games where you will always find recently added games. SpringBok Casino welcome package consists of three first deposit bonuses and you can get up to R11,500 of Free money. You can get up 100% up to R1,500. Bonus code: SPRINGBOK100. You can get up 50% up to R5,000. Bonus code: SPRINGBOK50. Get exclusive 300%bonus up to R600 on any deposit. Bonus code: SPRINGBOK300. Enjoy 25% cashback on any deposit without deposit bonus – contact customer support. Comp points, slot tournaments and other bonuses available in SpringBok Casino. Since SpringBok Casino targets South African players, the main casino currensy is ZAR. For depositing money to your casino account you can use Mastercard, Neteller, Eco, Skrill, EasyEFT, Bitcoin and SD. The same payment methods are suited for withdrawal of your winnings. Support team is very efficient at SpringBok Casino and you can contact it through several methods – by phone, e-mail or online chat. Your questions will be answered any time of the day and night. 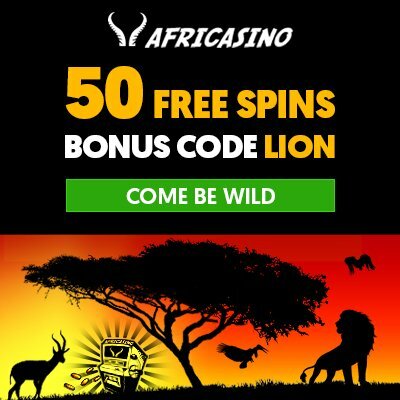 From SpringBok Casino review we can see that it offers players good choice of games for ZAR and banking options, competitive bonuses, both casino versions – instant and downloadable, and also mobile casino. This casino is truly on of the best online casinos in South Africa.